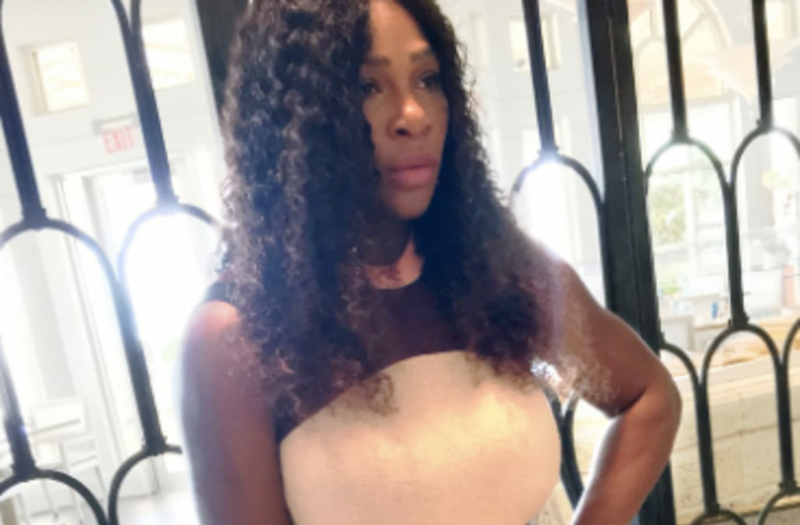 Much like a rogue tennis ball, Serena Williams' body has already bounced back. The new mom looks svelte as ever in a new Instagram, showing off her post-baby figure in a flared mini dress. Seriously, how incredible does she look?! The form-fitting bodice shows off her killer curves while the short hem puts her legs on display. While Williams is certainly a lovely sight, the actual point of the photo is what's truly beautiful: Williams is modeling a custom leather bag for the Purple Purse Challenge in honor of National Domestic Violence Awareness Month. Participants who donate will each have the chance to win the gorgeous item for their own closets. Days before sharing her latest snapshot, Williams shared her first full-body selfie since giving birth on Sept. 1. She didn't even need a caption: Her strong, fit figure spoke for itself. Meanwhile, new dad Alexis Ohanian squeezed in some quality time with another special family member: The Reddit co-founder spent a day last weekend with his dad at a Redskins game. Preparing for our greatest adventure yet. On newsstands now. Look for the @Vanityfair with my beautiful fiancée & baby on the cover.